While sorting through a pile of ‘special’ duplicates (ones that are not good enough for the shelf but have something to make me keep them) I’d forgotten the 3 Charles Chilton signed titles I’d bought on eBay last year. They came with a photo of Charles Chilton holding ‘The World In Peril’ when he was interviewed by the BBC for a programme of which I can find no record – does it ring a bell with anyone? Eric Malpass, who died 18 years ago last week, had three of his books published by PAN ‘Morning’s At Seven’, ‘At The Height Of The Moon’ and ‘Fortinbras Has Escaped‘ The first two titles were very popular in Germany where they were both made into films with music by James Last. One book that has been on my shelf for quite a while is ‘I Owe Russia $1200’ which cost me 50p and is a bargain as it has been signed by Bob Hope (!) I could believe that a charity shop would not think it genuine (if they actually spotted it) but having looked at other samples of his signature I’m not ruling it out as apparently he was a prolific signer. Just returned from a couple of weeks in Croatia, Bosnia, Slovenia and Montenegro and while I was there I was looking for PAN connections and offer these three very tenuous ones on this page. The first is just because of the name while the other two have character links. I shall be sampling the beer very soon in my PAN glass given to me by the café owner in Lovran. 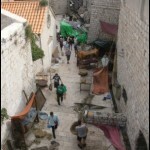 Croatia and especially Dubrovnik are really fantastic places to visit. 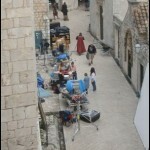 We had an interesting day in Dubrovnik as they were filming “Game of Thrones” series 5. Everyone was trying to get a good look and being shouted at by security guards saying ‘No photos, no photos’ (Apparently we didn’t see the best bit as it was the day before when they filmed Cersei Lannister made to walked naked through the streets – ooops sorry – plot spoiler) The following day we went to Montenegro and so missed the four huge cruise ships disgorging their 10, 000 or so passengers for a couple of hours in the medieval streets of the walled old town! Having been away in Croatian for the last two weeks I’m glad to see the schedules I set up to publish the blogs each Monday while away seems to have worked. 1) I have scanned another couple of Carbara Cartland covers which currently stands at 42 out of 125 and I will add more as I come across them. 2) I have managed to find a PAN copy of the Frank Yerby title “The Treasure of Pleasant Valley” and have added that to the page of other Yerby covers. 3) Back in 2102 I visited the building that was once used as a despatch centre by PAN. David the owner said they were going to have it clad in aluminium so I’m grateful to my agent Martin in West Molesey for taking a photo that I’ve now added to the page. Improvement? 5) Not PAN but Panther. I spotted a scrawl on the bottom of a Panther title on eBay which I thought look like the top of the name Derek A Stowe. I then found another copy on an Australian booksellers site (which would have cost me 12 times what I paid with the postage they were asking) with a photo which confirmed it was a Stowe. This just shows how carefully you have to look at covers to find signatures as they were often removed in the trimming process. 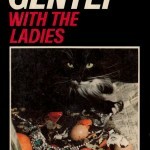 I recently bought this proof copy of ‘Gently With The Ladies’ from 1967 and was amused to see the last page just says ‘Five Pages Adverts Required’ These instructions were followed as there are five pages for titles by James Leasor and John Creasey etc. 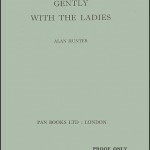 in the published edition. I have several proof copies of titles with my favourite being ‘The PAN Book of Charm’ by Barbara Cartland which she proof read herself and signed on the cover to approve it (I acquired this from a shop in Hungary) Somehow she got her mothers DOB wrong so she has had to changed her mother’s age several times. I have quite a few other proof copies but the most interesting one I think is not from PAN but Heinemann. 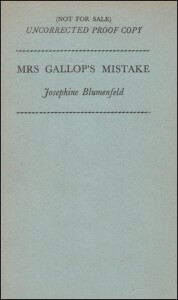 It is for the 1961 title ‘Mrs Gallop’s Mistake’ by Josephine Blumenfeld. The PAN connection is that she was PAN’s founder Alan Bott’s wife. 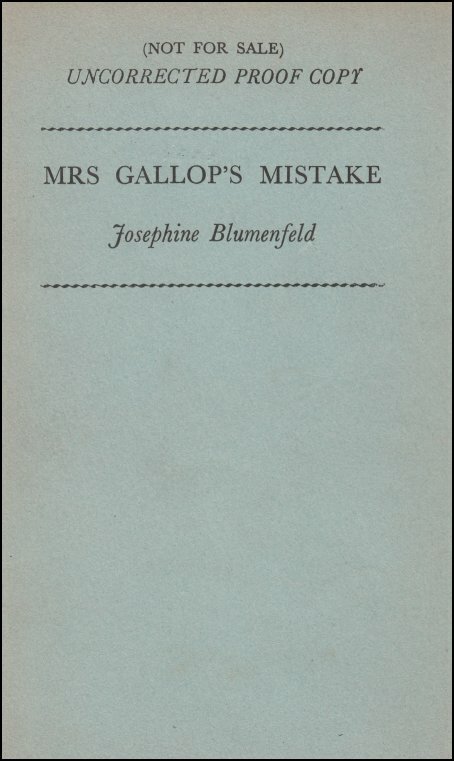 The reason I find this interesting is that as far as I can tell it was never published although the title was used for one of her collection of short stories published as ‘Birds In The Roof” by Heinemann in 1960. I have yet to track down a photo of her so if any one can help please get in touch.